Anthrax is a serious infectious disease caused by gram-positive rod-shaped bacteria known as Bacillus anthracis. Anthrax can be found naturally in soil and commonly affects domestic and wild animals around the world. 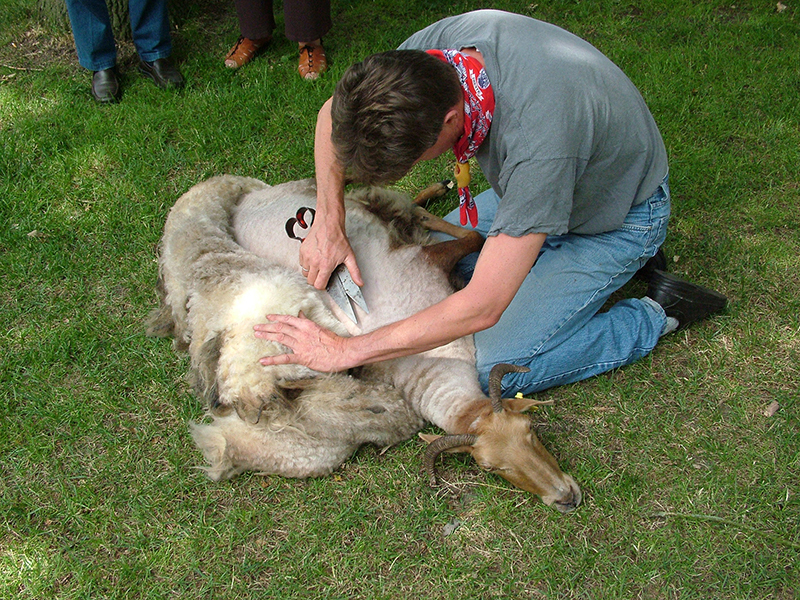 People can get sick with anthrax if they come in contact with infected animals or contaminated animal products. Anthrax is not contagious, which means you can’t catch it like the cold or flu. ♦ How do animals get infected with anthrax? 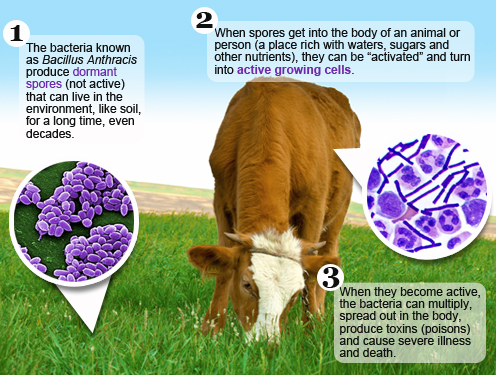 Domestic and wild animals such as cattle, sheep, goats, antelope, and deer can become infected when they breathe in or ingest spores in contaminated soil, plants, or water. In areas where domestic animals have had anthrax in the past, routine vaccination can help prevent outbreaks. ♦ How do people get infected with anthrax? People get infected with anthrax when psores get into the body. When anthrax spores get inside the body, they can be "activated". When they become active, the bacteria can multiply, spread out in the body, produce toxins (poisons) and cause severe illness. This can happen when people breathe in spores, eat food or drink water that is contaminated with spores, or get spores in a cut or scrape in the skin. ♦ Where is anthrax found? Cutaneous anthrax, also known as Hide porter's disease / Woolsorter’s disease, is when anthrax occurs on the skin. 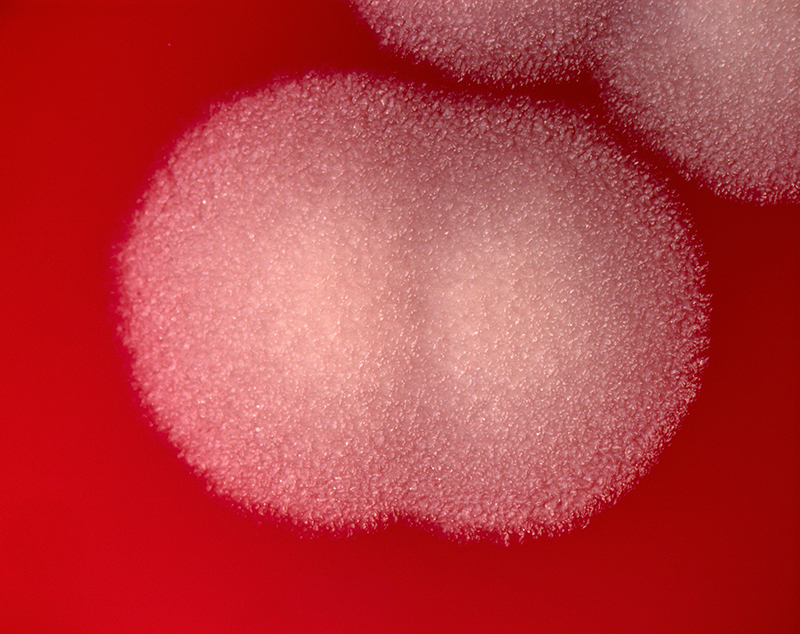 It is the most common form (>90% of anthrax cases). It is also the least dangerous form of anthrax (low mortality with treatment, 20% mortality without). Cutaneous anthrax presents as a boil-like skin lesion that eventually forms an ulcer with a black center (eschar). 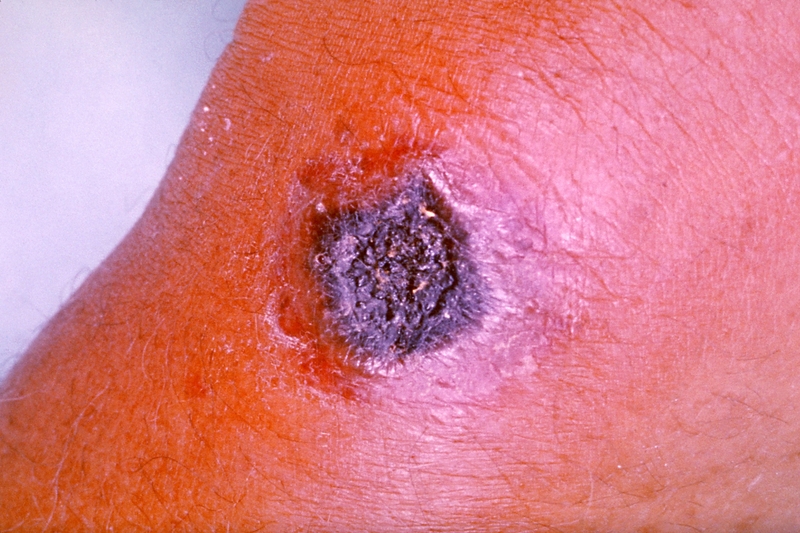 The black eschar often shows up as a large, painless, necrotic ulcer (beginning as an irritating and itchy skin lesion or blister that is dark and usually concentrated as a black dot, somewhat resembling bread mold) at the site of infection. In general, cutaneous infections form within the site of spore penetration between two and five days after exposure. Unlike bruises or most other lesions, cutaneous anthrax infections normally do not cause pain. Nearby lymph nodes may become infected, reddened, swollen, and painful. A scab forms over the lesion soon, and falls off in a few weeks. Complete recovery may take longer. Cutaneous anthrax is typically caused when B. anthracis spores enter through cuts on the skin. This form is found most commonly when humans handle infected animals and/or animal products. Cutaneous anthrax is rarely fatal if treated, because the infection area is limited to the skin, preventing the lethal factor, edema factor, and protective antigen from entering and destroying a vital organ. Without treatment, about 20% of cutaneous skin infection cases progress to toxemia and death. Respiratory infection in humans is relatively rare and presents as two stages. 1) It infects the lymph nodes in the chest first, rather than the lungs themselves, a condition called hemorrhagic mediastinitis, causing bloody fluid to accumulate in the chest cavity, therefore causing shortness of breath. The first stage causes cold and flu-like symptoms. Symptoms include fever, shortness of breath, cough, fatigue, and chills. This can last hours to days. Often, many fatalities from inhalational anthrax are when the first stage is mistaken for the cold or flu and the victim does not seek treatment until the second stage, which is 90% fatal. 2) The second (pneumonia) stage occurs when the infection spreads from the lymph nodes to the lungs. Symptoms of the second stage develop suddenly after hours or days of the first stage. Symptoms include high fever, extreme shortness of breath, shock, and rapid death within 48 hours in fatal cases. Historical mortality rates were over 85%, but when treated early, observed case fatality rate dropped to 45%. 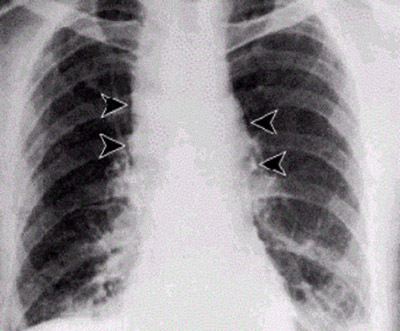 Distinguishing pulmonary anthrax from more common causes of respiratory illness is essential to avoiding delays in diagnosis and thereby improving outcomes. Symptoms may be similar to those of cutaneous anthrax, but there may be infection deep under the skin or in the muscle where the drug was injected. 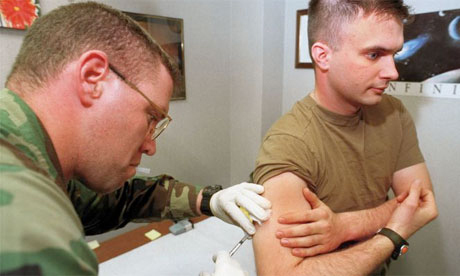 Injection anthrax can spread throughout the body faster and be harder to recognize and treat. 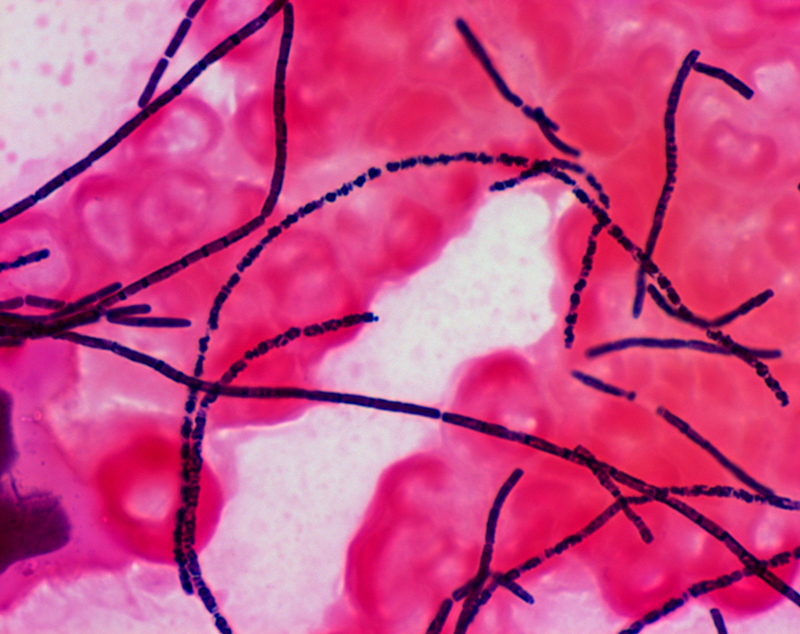 Bacillus anthracis, the bacteria that causes anthrax, is one of the most likely agents to be used in a biological attack. But in this case it was hungry people who were eating hippos. A chain of events was started in late summer 2011 during the dry season in Zambia. 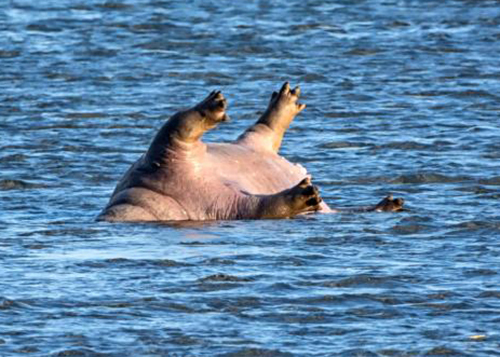 Hippos, hunting for food by rooting in the soil, became infected with anthrax. hippopotamuses became a serious and deadly twist on the title of a popular children’s game.